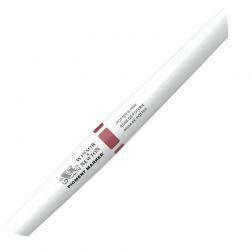 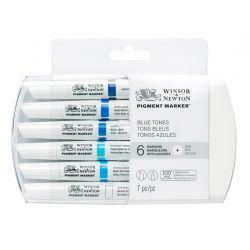 Each pen is ergonomically designed with a comfortable, ultra slim profile. 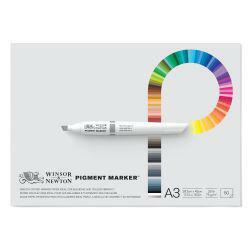 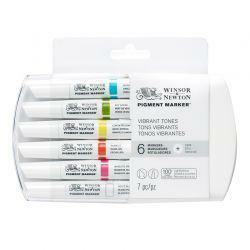 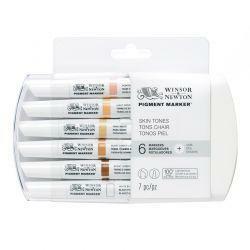 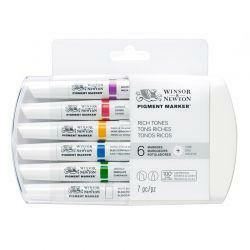 Attach this set to another with its interlocking case, and build your Pigment Marker collection at your own pace. 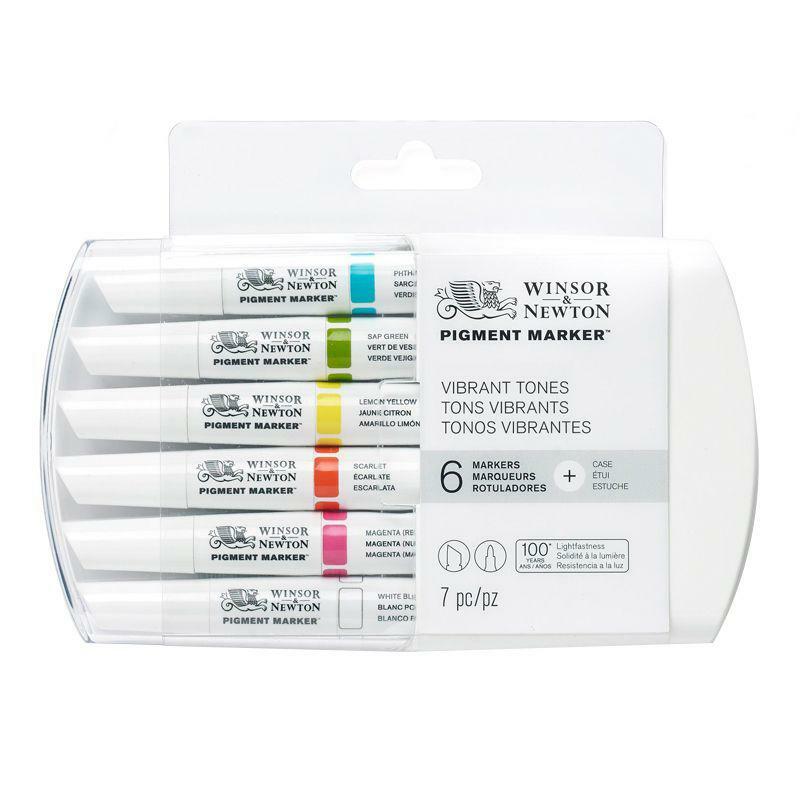 The set contains the following colours: Phthalo Teal Light, Sap Green, Lemon Yellow, Scarlet, Magenta (Red Shade) and White Blender.